Me: "I hate that I can't wear black pants in this house. 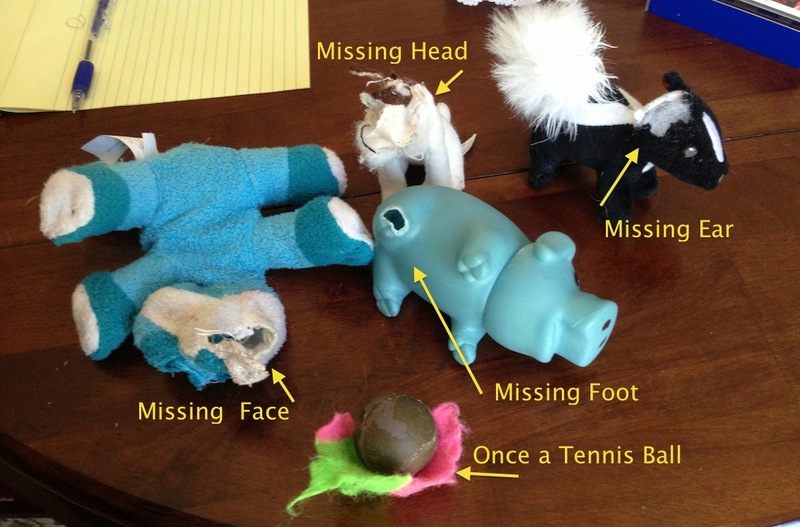 There is dog hair everywhere." A. : "Just don't wear black pants." Me: "That's half of my wardrobe. What am I supposed to do? Have YOU seen anyone with 'hairy' pants?" A. : "Have you seen my unshaven legs in the winter? It's a very comfortable look." A. : (serious tone) "Mom." C. : (equally serious)"We HAVE to talk to you." The middle child opens my laptop and sits down next to me. His sister sits on the other side. A. : "Please Mom. Let us offer you our help. It's not you...well, it kind of is. 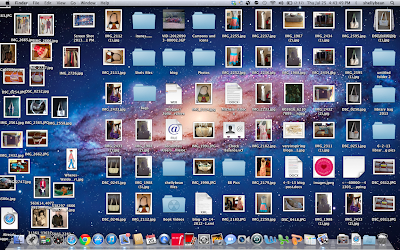 It's about your 'Hoarder's' status desktop. 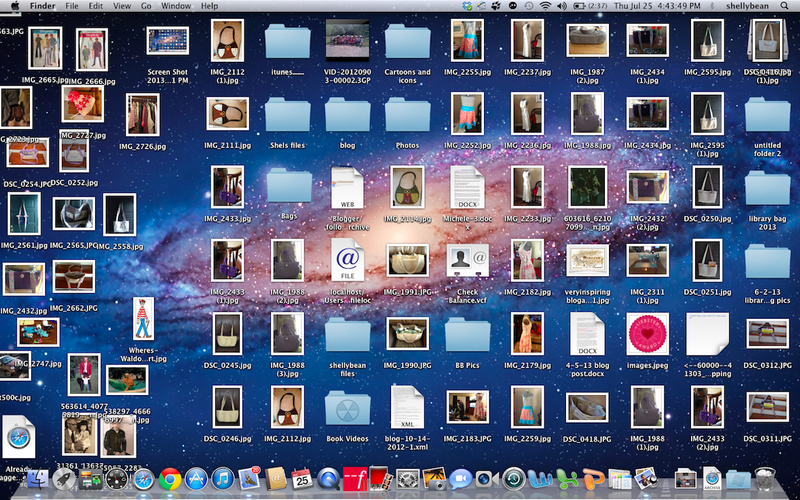 "Just let me make folders and I can organize it all for you." Me: "Are you guys kidding me? I don't have a problem. It's completely organized." C. : (softly) "If you'll just let me, I can at least organize it so the photos will be aligned. We're worried about you, Mom." Me: "Put my computer down and back away slowly..."
Honestly, I don't know what the big deal is. On our weekend get-away, I complain to the speeding husband. Me: "You'd better slow down. I CANNOT die on this trip." Me: "Yes. I didn't make the bed or clean the bathroom this morning." The man: "So. IF you die, this will matter how?" Me: "I don't want your family coming over thinking we're messy." The man: "So. If we die, you think that my family would be mainly focused on how clean our house is?" Me: (thinking it over for 1.5 seconds). "Chance takers are accident makers. Eyes on the road, man." The middle child had had the stomach flu. He was lying on the floor in the living room. Me: "You know, C. you'll probably inherit all of my stuff..."
He looks oddly at me and my daughter gasps. Me: "What? I was just going to say that you'll probably inherit all of my health problems." A.: "I thought you were saying that he was going to inherit everything from you! How fair is that?" C. : "I thought the same thing, but I also think I deserve to inherit everything you own." J. : "Hey! What do I get?" Me: "You guys are morbid. Anyway, I'd divide everything up evenly between the three of you." C. : "What about Dad?" J. : "Ugh. Now we have to divide her stuff FOUR ways?" Me: "I surely hope you're not being replaced..."
Lila, sleeping in the man's spot. The phone rings and what do you know, it's the man. The man: "Put me on speaker phone." The man: "Lila...Can you hear me? Huh girl?" Lila looks around trying to locate that familiar voice. The man: "Lila, listen to me. I am not dead. You may think I'm gone for good, but I am not. Enjoy that time in my spot. When I get home you're going to be sleeping on the floor!" 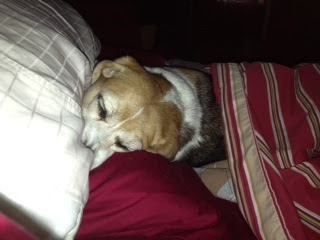 Lila continues to look around, spins, then puts her head back on his pillow. Me: "Yeah, honey? She looks pretty scared. I think you put her in her place." I hang up while Lila and I look at one another. I shake my head and I swear, Lila laughed. Henry was neutered about a week after we brought him home. Our neighbor, who has a tiny dachshund, always comments on how his little Roxie and our Henry would have cute babies. It really is a sweet thought, but the cone, purple stitches and removal-of-his-goods was all worth it in the end. Henry was NEVER meant to be a father. Whew. Just a few of Henry's "babies." -There is no way on God's green earth that a pint of Ben & Jerry's "New York Super Fudge Chunk" serves four people. No way at all. Maybe two people. Two people that look just like me. -Giving away hundreds of your "teaching" books and supplies and watching your former life being packed away in boxes hurts more than you thought it would. -Cooking meals in 100 degree weather is NOT cool. Having the family wrapped around the dinner table totally is. - I HAVE to remember to record the FLY on the WALL stuff as it happens. The kids get tired of trying to recall the funny moments. -The dog's bladders are NOT equal to the amount of water they drink. They pee twice as much as they take in. So do I. -When my kids are sick, nothing else matters. -I can learn the words to every Disney show theme song. I CAN'T get the theme song to "Good Luck Charlie" out of my head. -It's not impossible to put a puzzle together in a power outage. In fact, it's empowering. Apparently though, I'm NOT allowed to say that I know how it feels to be a blind Mary Ingalls. Thanks once again for stopping by, and to the Fly's AMAZING creator, Karen @ Baking In a Tornado, aka "The Insane-Whisperer", for hosting this challenge! Would you like to join in the next FLY challenge? Click on the FLY button on my side bar. Karen will more than take care of you. Hello, July!! It's time for the SSS! "You decide to clean out your neglected closet. While cleaning, you come across something that causes you to gasp in shock. What is it and why did it catch you off guard?" I was cleaning out the back of my closet when I saw them. A new pair of shoes, waiting to be broken in. You'd think I could just pass over something so regular; something every closet holds. The shoes though, don't belong to anyone who lives in our home. They are waiting for their rightful owner to claim them. Years ago, we met a man sitting on the curb in front of our house. We thought he might be a solicitor or someone who was waiting for a ride. As we drew closer to him, we could tell that he was distressed and squinting fiercely at something in his hands. It was a pair of eye glasses. The lenses were so thick, you could see the magnification of them on the ground below. Tiny pebbles from the street looked like flat stones; the kind you might use for skipping in a lake. One of the arms of the glasses had come loose. My husband, seeing his frustration, invited the man inside. I thought he might resist, but the stranger walked through the door and softly introduced himself. He continued to fumble with the glasses while momentarily holding them up to find his way. I offered up some cool lemonade while my husband handed over the repaired glasses. Grateful, the man placed the glasses back on his face, playing a bit with the frames so they fit squarely over his nose. Rolling his eyes around to check the view from glasses, he began to grin. He looked up and truly saw us for the first time. We must have spent hours talking over the dinner I demanded that he stay for. We learned that he was a writer and a world traveler. Between tiny bites of food, he would show us various photographs that he kept in a journal. Alongside the many colorful pictures was his handwriting. The words were created with tiny, carefully written, capital letters. I thought the writing looked as if he was afraid the blank pages may run out. The soft-voiced man spoke of the adventures he'd been on and those he had yet to take. When I asked him if he ever got lonely, he answered no. He told me how he loved to find himself in huge crowds of people. His technique was to be still while listening to the stories of others around him. This is how he found the inspiration for his writing. The photographs he explained, were taken by strangers he'd met on his journeys. Each picture represented a beautiful place with ordinary people surrounding him. He wasn't lonely at all. Where I might feel alone and frightened in a crowd, he was soaking in the whole experience. He traveled lightly, carrying only a camera, his journal, a water bottle and the clothes on his back. There was something so simple about it. I have to admit, I was a little envious. It was my husband who noticed the man's shoes. They were worn to the point that the toe was fraying and the soles were barely visible. I was touched at the humbleness of the man as he took a new pair of shoes offered up by my husband. They were a bit big, but they would more than do. I tried to offer the man new clothes, but he explained how he once saw a woman in similar clothes at a train station. He was adamant that they had a "moment" and that if she were to ever see him again, she might recognize him by his outfit. My husband and I, adorned our own matching sports jerseys smiled in admitting that his theory wasn't totally off base. So he left us, nodding at the invitation to return when he was back in town again. Every now and again, the former stranger kept his promise and stopped by for an occasional meal packed with stories and photos of his latest journeys. He had so much to teach us with his words and experiences, we felt as if he was the one doing all the giving. 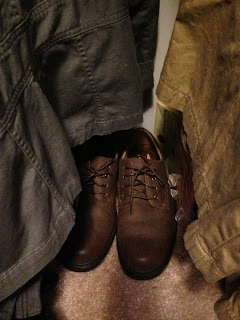 After a while, my family would pick up an extra pair of shoes or an exact match of his long-sleeved t-shirts in anticipation of his next visit. He always accepted the gifts, appreciatively. We'd receive postcards he created from his photos. They came from every corner of the world showing our friend amongst strangers. Sometimes, there were so many people in his photographs, we'd find it hard to spot him. The children always thought of it as a game, trying to see which one of them could find our world-traveling friend first. The stretches between visits became fewer and further between. During our last visit, our friend explained how he still hadn't found the love of his life and that he felt empty inside. He described his pain as feeling two-dimensional. What once felt wonderful was now becoming mundane. The blending in was not enough anymore. Listening and "hiding" in crowds now felt claustrophobic. He said there were moments when he wanted to throw his hands in the air and scream, "I'm here! Can't you see me? Doesn't anybody care? I am not invisible!" I asked him to take a break. I told him he was welcome to stay with us. After a few days though, he was gone. The postcards still come. The writing is sloppier. The words are larger and the notes are shorter. My hope is for him to find peace; to find himself. I want him to feel like he can be equal with a crowd and be seen at the same time. I await the day he comes back with another story, or even better, with the love of his life. 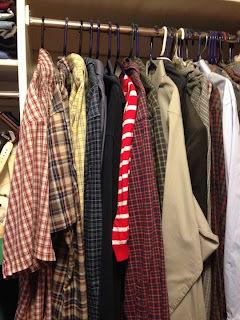 Until then, a silly long-sleeved tee hangs with my husband's plaid shirts. 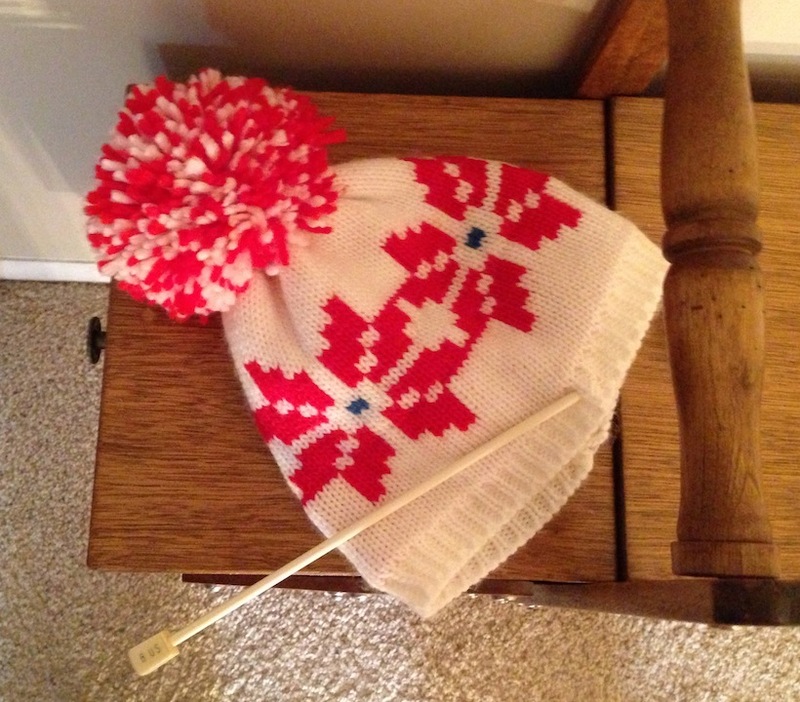 The hat my daughter knitted for our adopted-family member sits with the winter coats... And the shoes. Those shoes wait for the day the doorbell rings and we welcome his worn body back into our home. I still spend a lot nights thinking about him. I ask myself many questions. What exactly brought that man to the front of OUR house so many years ago? Is he safe? Is he healthy? Would I recognize him among a crowd full of strangers? Is he still wearing those same old clothes while waiting for his soul-mate? Was he just a figment of my imagination? Thanks once again to my girl, Marcia, for the topic.